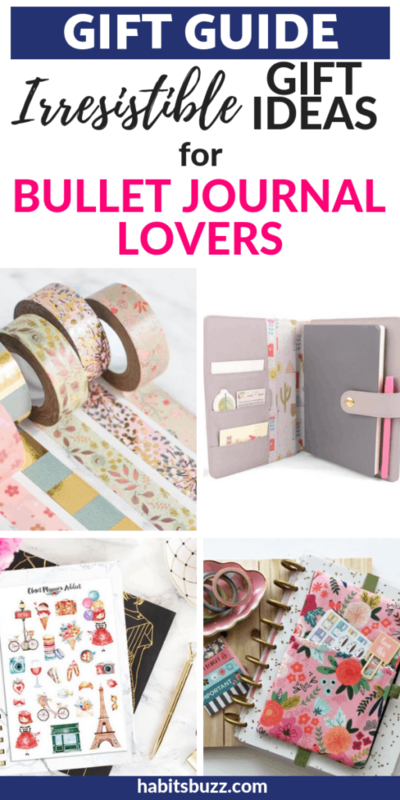 If you have a bullet journal lover in your life, there is absolutely no shortage of gift ideas. 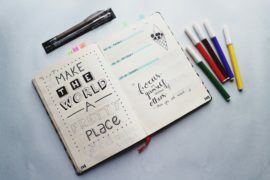 Do you know what a bullet journal user can never have enough of? Stationery! Yes, no surprises there. I often say I am a minimalist bullet journaler. But I do have my own small collection too. I only have the essentials. But I won’t complain if someone will gift me a brand new bullet journal notebook, highlighters or brush pens (hint, hint!). The holidays are approaching and if you want to gift a journaler with something that is sure to steal their heart, let’s have a look at this guide. 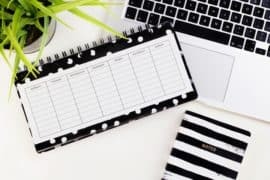 When it comes to buying bullet journal supplies, two places I look for are Amazon and Etsy. 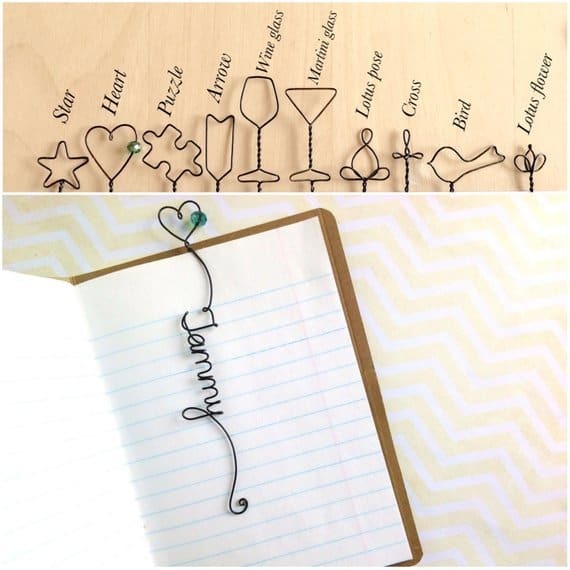 While Amazon is one place where you can buy almost all bullet journal supplies, I love the uniqueness of the goodies that are handmade with love from Etsy. You get more unique and customized products on Etsy that will make your gifts stand out. Enough talking, now let’s a look at the supplies that are guaranteed to be loved and used. 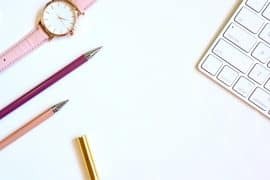 Many shops on Etsy offer bullet journal starter kits, which can save your money and time, because if you don’t know exactly what to buy or if you feel confused by the variety out there, you can simply buy a kit. Most of them have products like bullet journal notebook, pens, paper clips etc. This starter kit from Humdiddy has the essential supplies that anyone needs to get started with bullet journaling. It is suitable for people who are regular journalers too (because they are always thinking about the next notebook or other accessories). 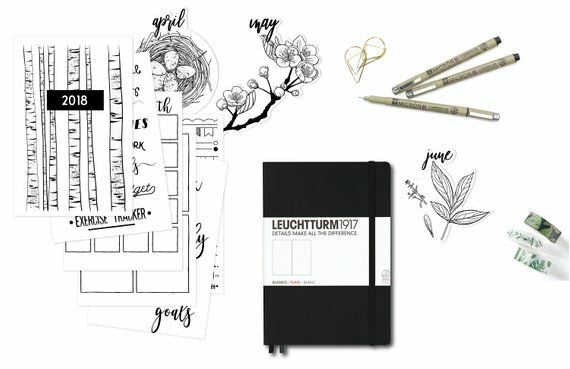 This kit contains 43 pieces including a Leuchtturm 1917 hardcover notebook, Micron pens (my favorite), washi tape and lots of clear matte stickers for calendars, weekly layouts, divider lines, headings etc. 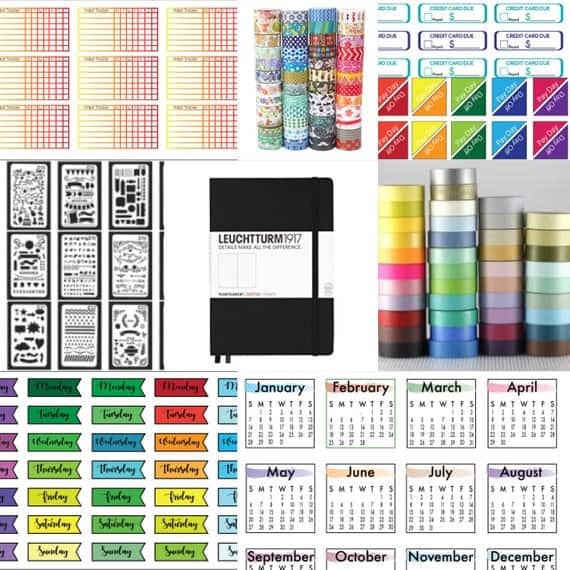 The starter kit from EvenyAccessories has 32 items including Leuchtturm 1917 Black notebook or Minimalism Art Dotted Black notebook (you can choose), Pilot G2 pens, planner stencils, washi tapes, mini habit tracker stickers, mini calendar etc. Take a look at this item. I am sure any bullet journal lover will love to receive this as a gift, especially her stickers. They are useful and add color to your journal. This store also has a starter kit with 24 items. 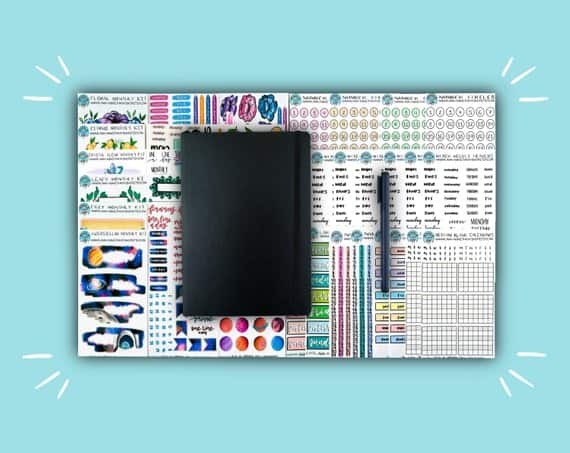 This kit from PlanningWithKayShop contains Leuchtturm 1917 dot grid A5 notebook, 1 Tombow Mono drawing pen and an entire supply of sticker sets for either 6 or 12 months (you can choose). Stickers include weekly headers, daily headers, calendars, number circles etc. A notebook is a gift that will always be appreciated by people who journal. Because they always need another notebook. The most popular notebooks in the bullet journal community are the following. Leuchtturm 1917 is well loved by the bullet journal community. It is available in many vibrant colors and sometimes it’s hard to choose. 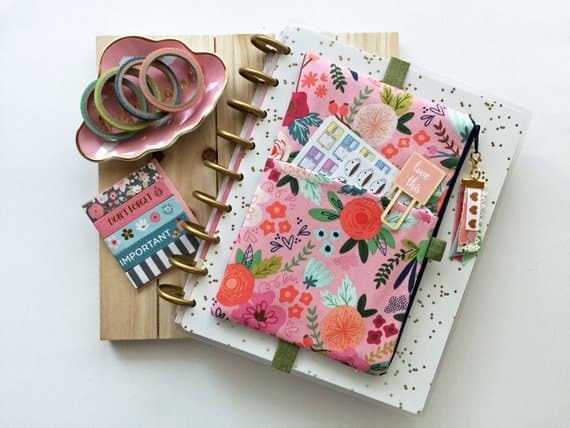 It has all the features that a planner notebook needs like ribbon markers, elastic closure, numbered pages and an expandable pocket inside back cover. 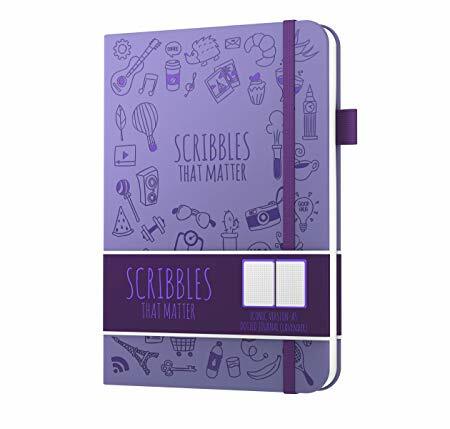 Scribbles That Matter is comparatively a new addition to the market, but it is preferred by a lot of people in the bullet journal community. It is available in two different versions, Iconic and Pro. The Iconic version has small icons etched onto the cover whereas Pro version has a plain cover. You get many features in a Scribbles That Matter Notebook for the price you pay. It has an index page, key page, pen test page, pen holder, ribbon bookmarks and a pocket in the back cover. It also has thick pages (100 gsm) and therefore you will experience minimal ghosting and bleeding. 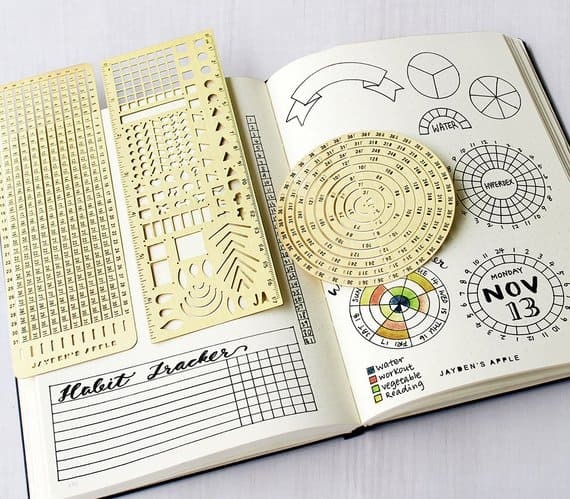 In short, it has almost everything that a planner lover needs. 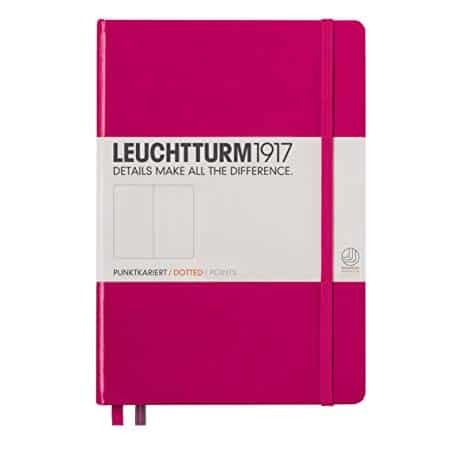 Like Leuchtturm 1917, it is available in many colors. I love the design and color used on these notebooks, so pleasing to the eyes. There are quite a few color options to choose from. If you are an indecisive person like me, BEWARE! 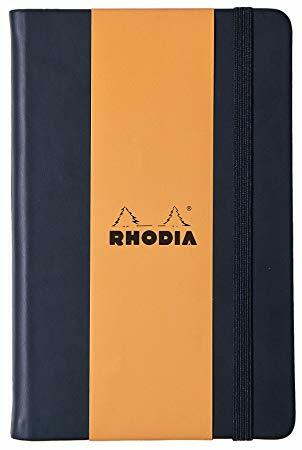 Rhodia is another name that comes up often in the community. Compared to other notebooks, it doesn’t have numbered pages or an index page (not a big deal), but it has a good quality paper (90 gsm), elastic closure, back pocket etc. It is also available in three colors: black, orange and silver. Other cheaper notebooks to look for are Essentials Dot Matrix Notebook and Minimalism art notebook. You can read about these notebooks in my article 13 cheap bullet journal supplies you can buy under $12. Now, if you want to gift something different than all these, you can check Etsy for handmade notebooks where you can customize the notebook and covers. Take a look at this book. Who can resist this beauty in polka dots? 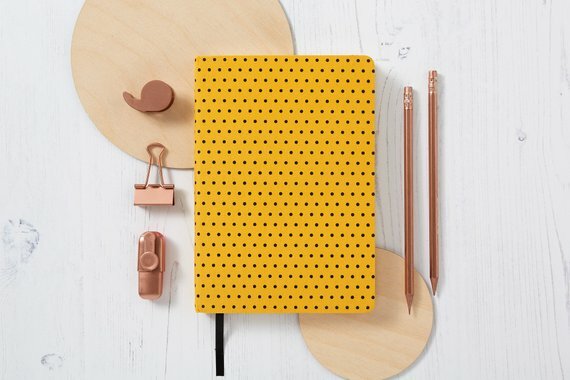 This one from HexandGinger is a dot grid notebook with 192 pages, a back pocket, has good quality pages with a paperweight of 100 gsm and has polka dots fabric cover. You can also choose from other colors like yellow, blue, black etc. Some of the best-loved pens in the bullet journal community for writing are Pilot Metropolitan Collection Fountain Pen, Pentel Energel, Paper Mate InkJoy gel pens, and Pilot G2 pen. Now, these are some pens that can excite any artistic bullet journaler. You can never go wrong with these pens. Personalized gifts are a way to tell your loved ones that you are thoughtful. People enjoy receiving a gift with their names ingrained on it. Don’t you think these bookmarks from kraze4paper are beautiful? 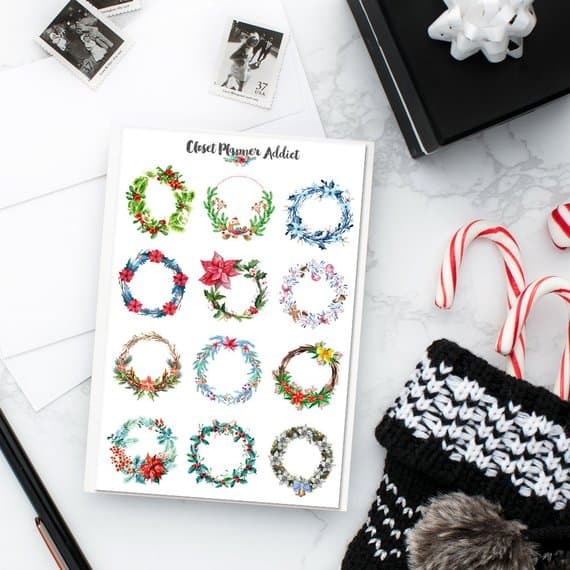 Any bullet journal lover or even a voracious reader will love this gift. 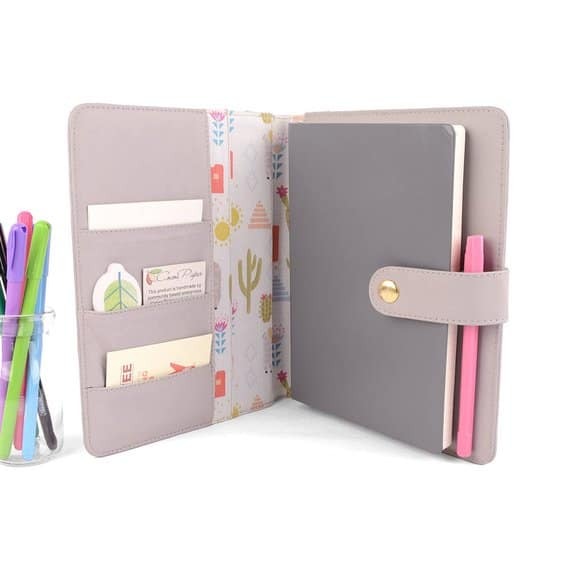 This leather planner cover from CocoaPaper is useful to keep one’s journal safe and store all the other planning accessories like stencils, stickers, papers, cards, rulers etc. It is made for A5 size notebooks, which is the standard notebook size that most people use for a bullet journal. It also has a pen holder, a back pocket to keep the back cover of your planner and a snap closure. It is available in many colors and you can choose the design of the fabric. You can also add a personalized touch by laser engraving the name or initials on the cover. I would say it is ideal for people who travel frequently and or for anyone who wants to keep all their stickers and other accessories organized. Currently, I am not a washi tape user. 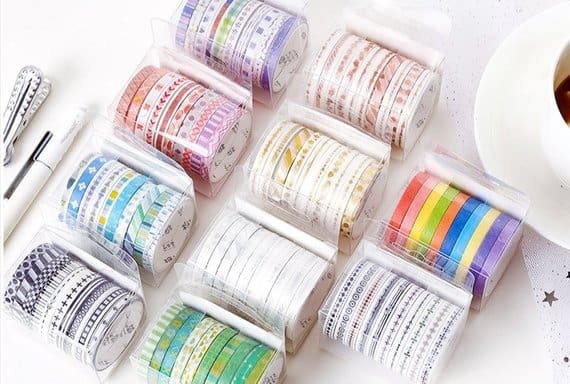 But I am contemplating to buy one or two after reading about washi tape hacks. They are ideal for bookmarking pages, making index tabs, to use as dividers, to stick photos or souvenirs, covering up your mistakes etc. 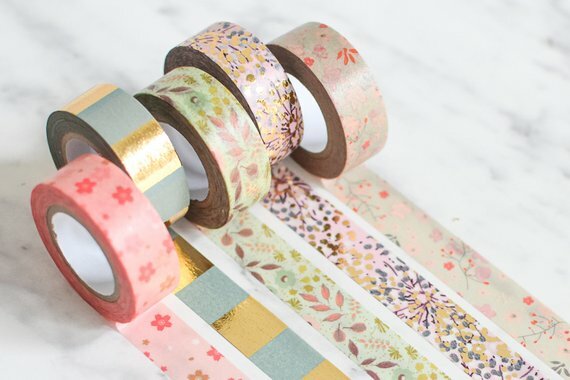 Buy these washi tapes for your loved one. I love the skinny ones more than the fatties. What about these super cute planner charms? Such beauty! These are from MariMartiDesigns and she makes more of this cute stuff. 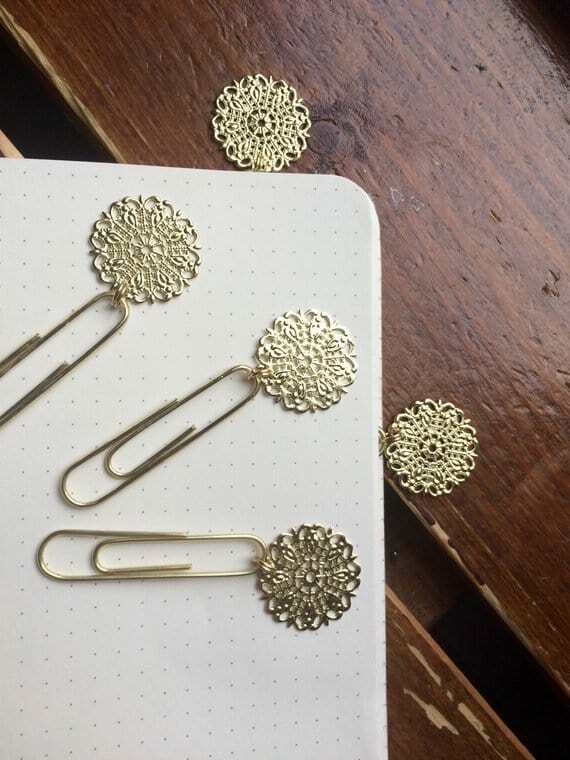 Check out her shop if you want to look for more designs or other planner accessories. This planner pouch by simbiosisbyjulia can become handy for people who journal as they need to carry their essential accessories everywhere. You can strap it to your journal cover or use separately. Apart from a zipped pocket which is very roomy, it has a front slip pocket and a pen holder. This shop has many other products for planners and she uses fabric with beautiful prints. Do visit her shop to see the variety. 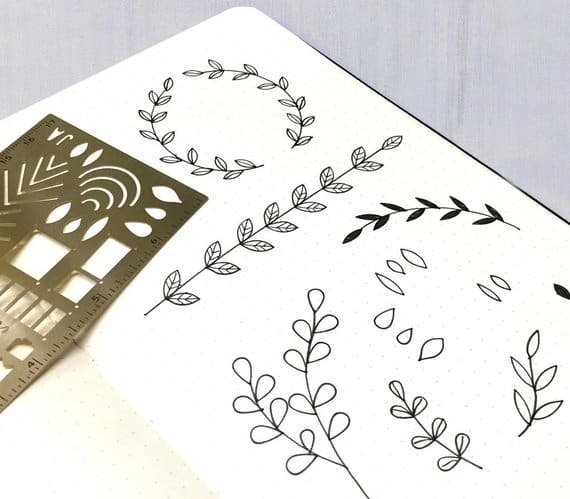 Stencils are great tools that help you draw quick designs or banners in your bullet journal. 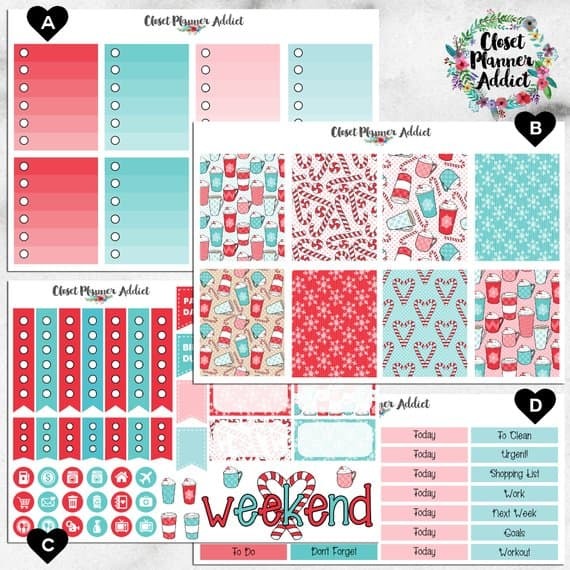 They help you save your time and are perfect for repeat designs. This golden color stainless steel stencil set from JaydensApple has three stencils. 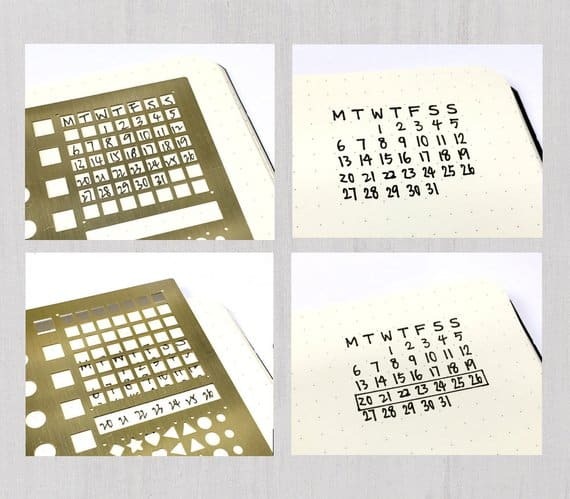 One is for linear habit trackers, one for circular trackers and another one for monthly mini calendars and small designs to embellish your bullet journal. It comes in a felt case which I think is impressive. The bullet journaler will thank you forever if you gift this one because it is so useful. The pain of drawing trackers and columns repeatedly is real especially when you have time constraints, and this set is gonna take that pain away. 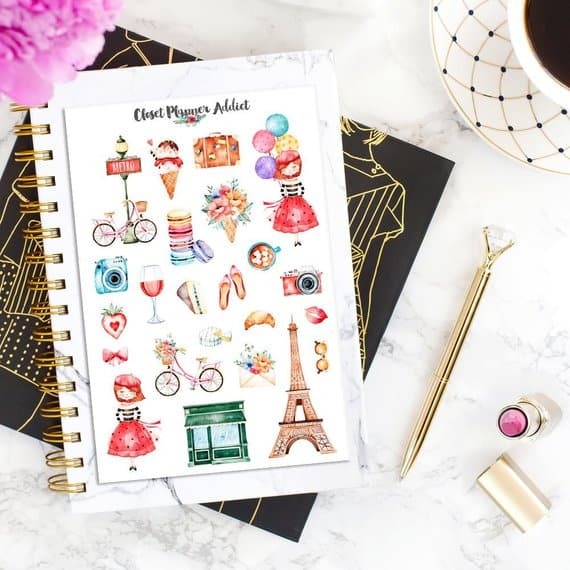 Stickers are an absolutely fun way to decorate your bullet journal and many people use stickers in their journal. One shop I recommend for buying stickers is closetplanneraddict. When I went to her shop (I mean virtually), I felt like a little girl who got lost in the magical world of Disney. You can see a lot of colorful beautiful designs there. I am sure it is a feast for the eyes of a sticker fanatic. Just posting one or two pictures would not do justice, so please visit her shop and choose the ones to your liking. As I said, there are so many gift options to make that dear bullet journaler’s heart happy. Let me know If I left out any amazing product by dropping a comment below. If you find this post useful, please take a moment to PIN and SHARE!